This week our focus story in Year R is the Three Billy Goats Gruff. 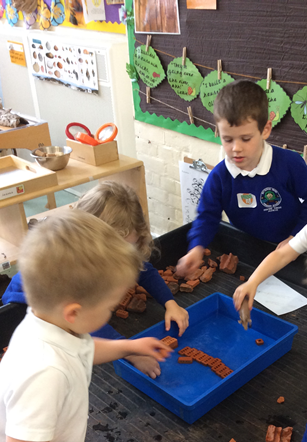 The children had lots of fun trying to build a bridge for the Three Billy Goats to cross the river in the Discovery Room during Busy Bee Time. 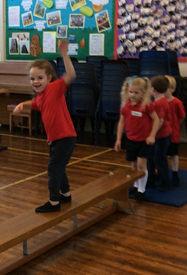 In PE this half term we have been exploring 'Travelling' the children loved experimenting with ways to travel across the bench! 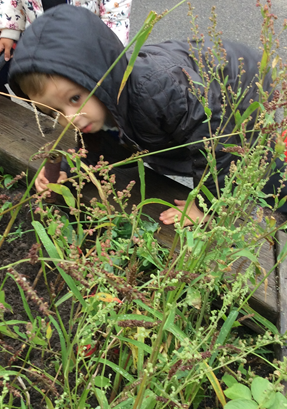 With all of our rainy, wet weather we have noticed lots of creatures in our garden. We have re-homed some of the worms into our Wormmery and several caterpillars, snails and woodlice now reside in our Bug Hotel!